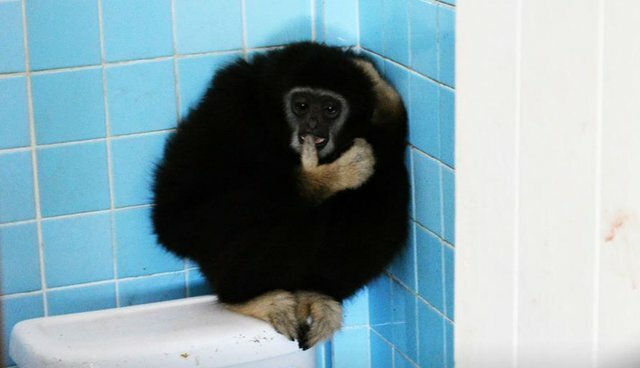 The touching rescue of a lonely, frightened gibbon shows just how much damage the exotic pet trade can do to the lives of the animals involved. 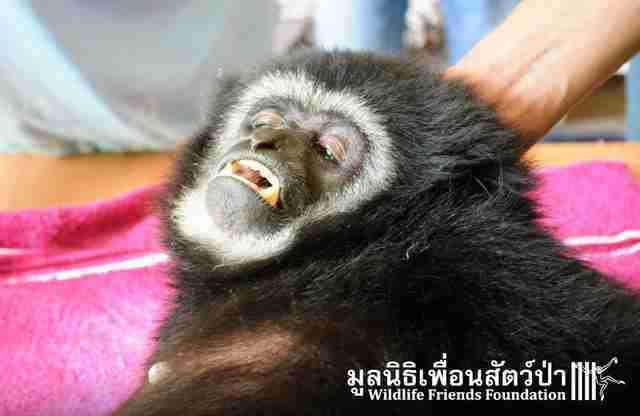 Alicia the gibbon was rescued on Friday by Wildlife Friends Foundation Thailand (WFFT). 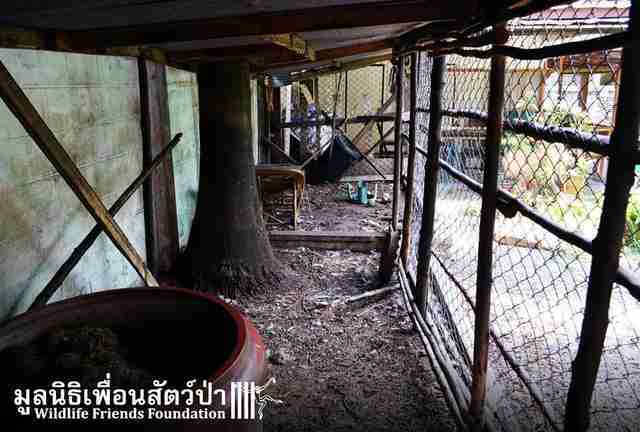 Despite her owner's best intentions, the little ape had spent the first several years of her life lonely and depressed, trapped in a metal cage behind his house. 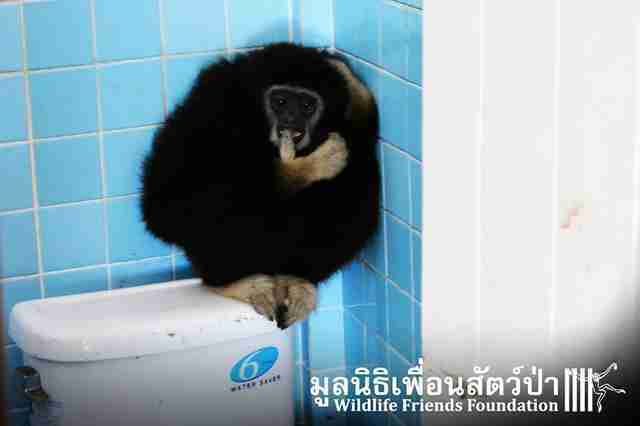 Alicia was sold into the Thai pet trade at just a few weeks old after her mother was killed, according to WFFT. By the time she was 6 weeks old she had already changed hands, and ended up in the care of someone who knew the little ape shouldn't be kept as a pet. But when he tried to relocate her to the local wildlife center, he was told that they weren't taking any more apes or monkeys. Reluctant to keep her but knowing she couldn't be left on her own, this man tried to care for the ape as best he could. Alicia lived in a cage behind his home - small, but still better than what most victims of the pet trade experience - and was fed an expansive diet of fruit and vegetables. Still, Alicia was lonely in her rusty cage, and became more depressed as the years went on. Last week, Alicia made a break for it. She escaped through a rusty hole in the roof of her cage and made her way over to the neighbors' home. When her owner tried to stop her, knowing she could be aggressive, he was seriously bitten. 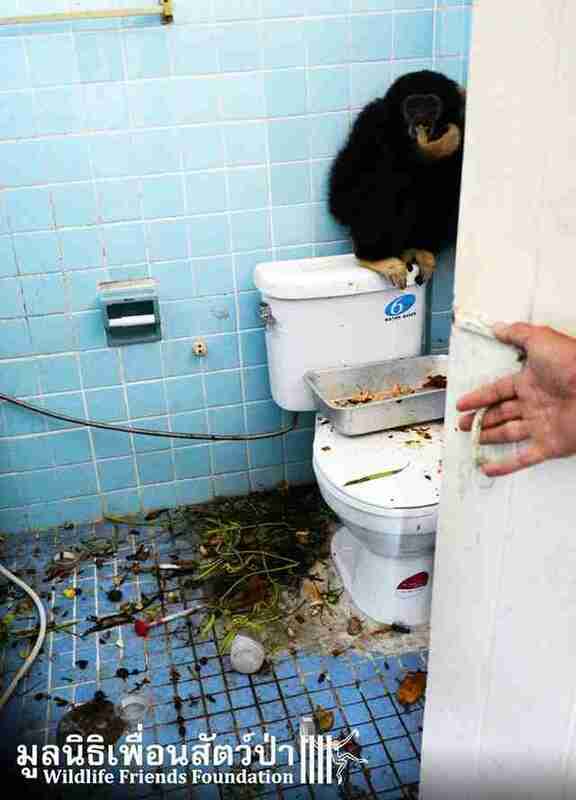 Despite his injuries, Alicia's owner made sure the frightened ape was safe in his bathroom before he rushed himself to the hospital for treatment. Alicia spent six days shut in the bathroom while her frustrated owner was turned down time and time again, as he looked to find a place that could give the sad ape the home she deserved. Fortunately, he discovered WFFT, who rushed over to find a heartbreaking sight: the small black ape perched in the corner on the toilet tank, cradling her head and biting her thumb in confusion and fear. One look at her eyes shows how sad and afraid this little ape must have been. Even though Alicia was luckier than most and had an owner who realized the young ape shouldn't be kept as a pet, her life has still been a lonely one, filled with confusion and sadness and fear. Her rescue goes to show that even when intentions are good, wild animals belong in the wild or at trained sanctuaries, not caged as pets. Each year, tens of thousands of animals die for the illegal wildlife trade. Mothers are butchered so their infants can be sold as pets, while other animals are killed for meat or sought-after body parts. Luckily, Alicia can look forward to a new, happier life at the wildlife sanctuary. 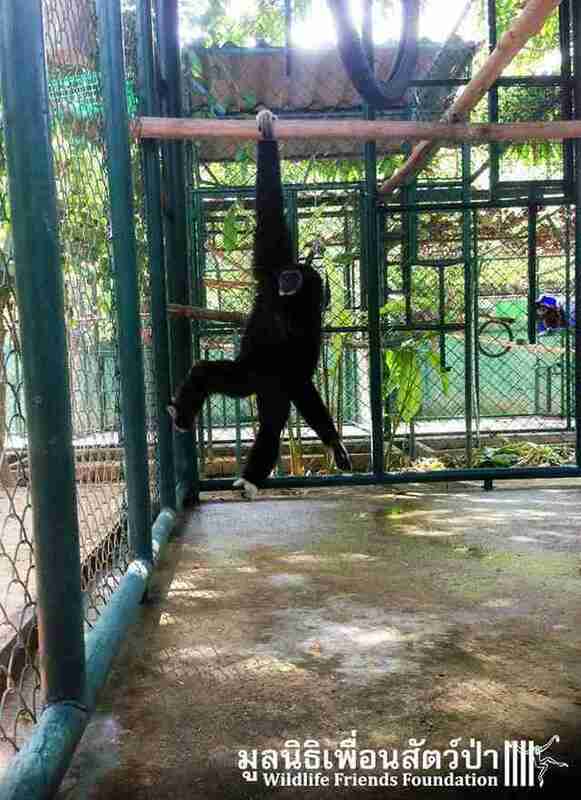 She's enjoying the comparatively palatial surroundings of the group's quarantine cage, and a picture shows her swinging happily from her new jungle gym. According to WFFT, she's even made her first friend after a lifetime of solitude: a male gibbon named Sek Loso. To support WFFT and help provide homes to more animals like Alicia, you can make a donation on the group's site. CORRECTION: A previous version of this article stated that gibbons are monkeys. Gibbons are apes.